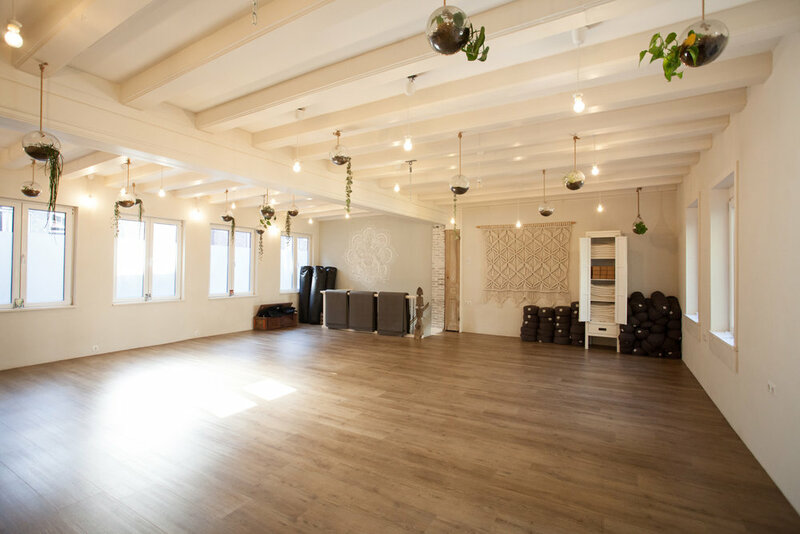 The Zen Hall is used for daily classes at The Conscious Club in the morning and evening. Between this schedule our Zen Hall makes for a perfect break-out room or small meeting space. These organic clay plastered walls make sure the humidity is regulated naturally for optimal health. The roof of our Zen Hall carries 18 solar panels to fully cover the usage of electricity and the warm water in the building! A light and comfortable space surrounded by windows and hanging plants. Like the name says, a true zen paradise of 77m2.